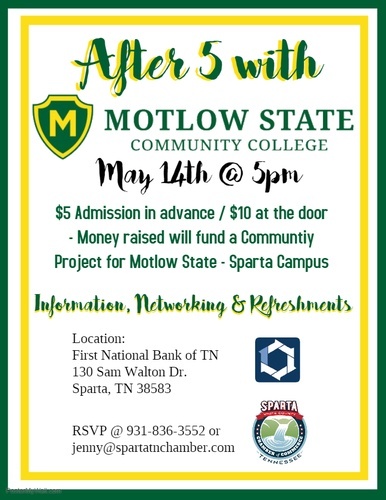 Come network with MOTLOW. Staff will be there to share information on programs, classes, and happenings at our Sparta Campus! Proceed go to MOTLOW community project!